Vehicle roof flaps raised, with the smokestacks tagging along. Unfold the side panels to reveal robot arms. With the arms out of the way, the front of the vehicle/windscreen can now be rotated 180 degrees. Prime's head below under the windshield is now above the upside down windshield. 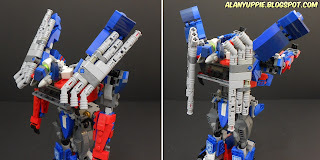 Mixel balljoints in action! Shifting the bulk of the vehicle ,smokestacks and roof halves... to the front of the vehicle. Rotate the smokestacks to align to each other again. After the smokestacks settle at the back of the robot mode, both roof halves can be positioned on top of the shoulder... diagonally, becoming shoulder pads . On his chest.. there's a hinged white component that can be folded in to form the collar. When I first designed this component, I was worried about not having space inside the vehicle to conceal them. Luckily my worries were unfounded. It fits immediately with no revision to accommodate the small gap. Dangling smokestacks pointing downwards might impact the silhouette of this guy. Hinged tubes allowed for them to be rotated further in to improve this predicament. Here you might notice instead of pointing outwards, the smokestacks point inwards instead. A subtle difference between my LEGO Prime with TLK/AOE Prime out there (official toys and CGI). 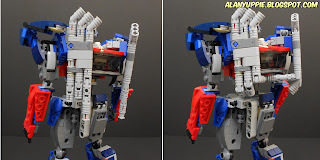 The binocular LEGO parts on each side of his pelvis tend to pop off easily due to weak connections and even during friction incurred from swiveling the pelvis joints! Yes! There is a Matrix hatch but only in robot mode (the hatch will be compacted in vehicle mode, rendering it useless). 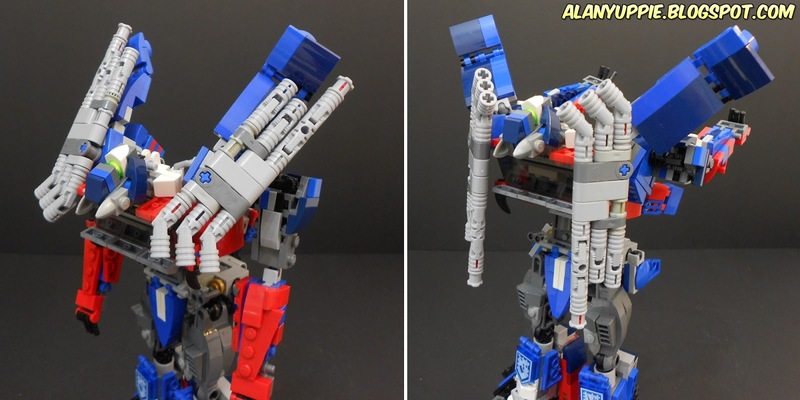 This Prime is carrying one of the lesser known Matrix in TF universe... behold the Matrix of Readership, an ancient book forged by "the one you must not speak of". There are just so many photos I wish to show that I've decided to start a new blog entry for that. 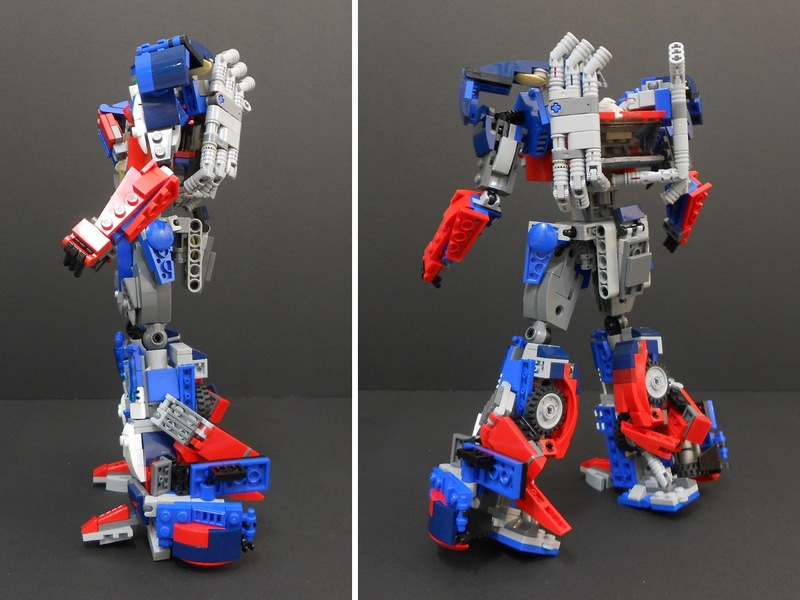 Click here for Part 3 to see more Prime in action! That's fantastic! What do you think about submitting it to Lego Ideas? Do you know of jobbythehong? Nope. Please enlighten me. 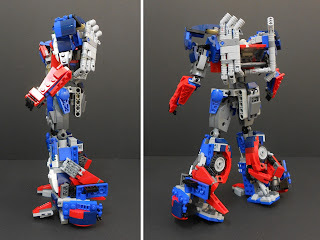 Is he related to Transformers or LEGO (community)?